With over 100 years in operation, Brother has continuously provided innovative, reliable and practical solutions for everyday life, now enjoyed by consumers all over the globe. The company is committed to providing quality global products in order to meet the needs of its customers, and through this mission, Brother ensures that quality and reliability are built into every machine and consumable it manufactures. Through extensive research and development, Brother has designed and manufactured an impressive roster of digital imaging solutions including inkjet and laser printers, Multi-Function Centers (MFCs) and fax machines. The company has also developed innovative ink, toner and paper technologies, which work perfectly with the entire Brother printing system and ensure optimum performance and component protection. Finding cheaper options for everything has become a source of pride for many Pinoys, but this practice often yields “you get what you pay for” results. While ink and toner refilling services offer low prices, they produce unimpressive results over time and may even seriously damage the sensitive components of printer heads and gears. Upfront costs for refills are appealing, but over time, expensive repairs, time-consuming maintenance and costly continuous replacement pile up, costing the consumer way more than the price of genuine Brother Consumables supplies. Genuine Brother Consumables ensure exceptional print quality, print longevity, richer color output, sharper images, high print yields and long-term savings. Brother’s patented ink formula penetrates and dries on paper in optimal time, in order to prevent smearing during the printing process. What consumers get is clean, exceptional print-out quality every time. This ink formula also features the right viscosity, which delivers the perfect amount of ink on paper for vibrant colors and sharp details, without clogging the cartridge nozzles and corroding print heads. On the other hand, genuine Brother toner cartridges contain polymerized toner particles that ensure smooth gear operations even after thousands of pages printed. Brother toners also allow for tiny differences in color and the finest details to shine through, and prevent toner leakage that can smudge and destroy printed images and information. With genuine Brother Consumables, consumers can make the most out of their Brother machines and ensure excellent performance and print quality even after years of use. Moreover, to ensure customers purchased genuine supplies, Brother updated the security label on the ink and toner cartridge packaging for easy authentication. The new Security Label allows users to personally authenticate the product purchased by simply scanning the data matrix found on the sticker. 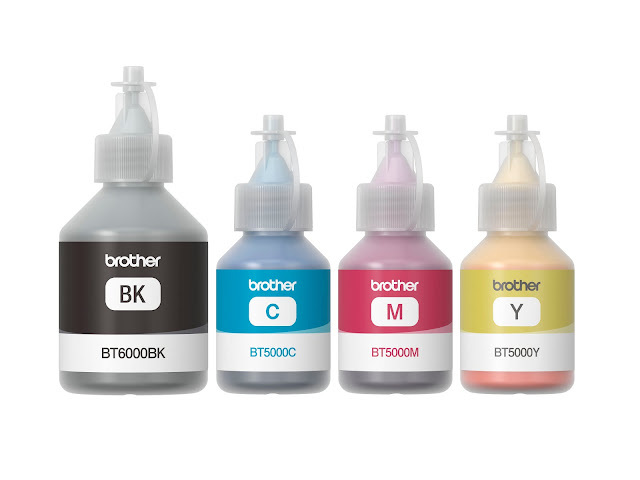 For more information on where to buy Brother inks and toners and how to spot genuine products, visit www.brother.com.ph.